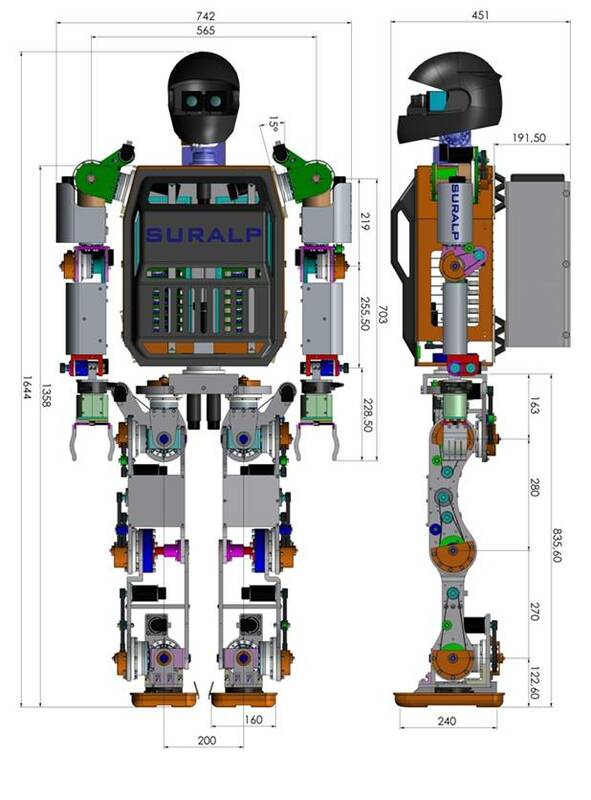 SURALP is a walking humanoid robot platform designed at Sabanci University - Turkey. 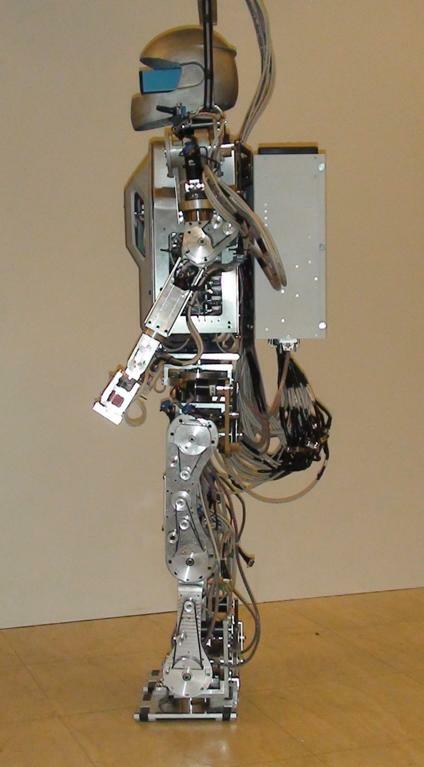 The kinematic arrangement of the robot consists of 29 independently driven axes, including legs, arms, waist and a neck. 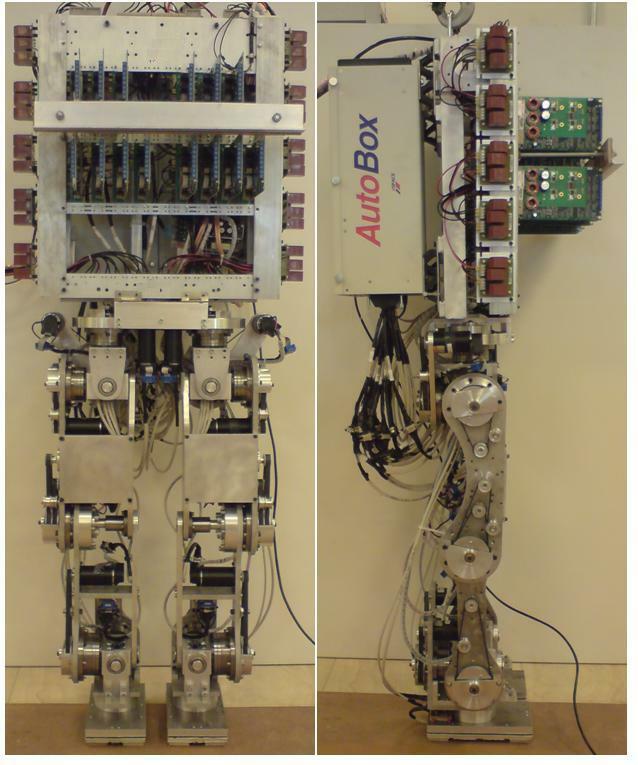 This paper presents the highlights of the design of this robot and experimental walking results. Mechanical design, actuation mechanisms, sensors, the control hardware and algorithms are introduced. The actuation is based on DC motors, belt and pulley systems and Harmonic Drive reduction gears. The sensory equipment consists of joint encoders, force/torque sensors, inertial measurement systems and cameras. The control hardware is based on a dSpace digital signal processor. A smooth walking trajectory is generated. A variety of controllers for landing impact reduction, body inclination and Zero Moment Point (ZMP) regulation, early landing trajectory modification, and foot–ground orientation compliance and independent joint position controllers are employed. 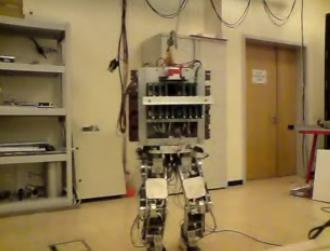 A posture zeroing procedure is followed after manual zeroing of the robot joints. The experimental results indicate that the control algorithms developed are successful in achieving a stable walk on flat and inclined surfaces. Force and visual control techniques are implemented for object manipulation other environmental interaction tasks too. 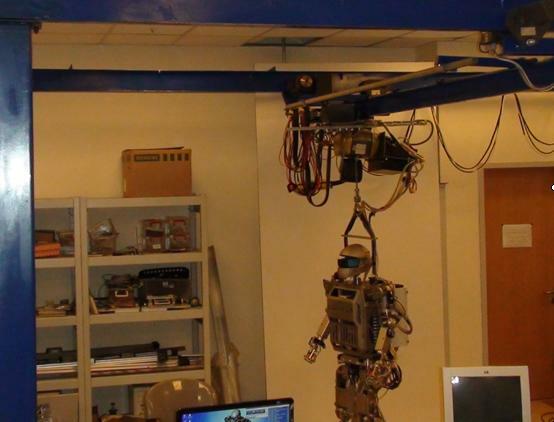 As part of the TÜBİTAK project 106E040 from 2006 to 2009, Sabancı University Faculty of Engineering and Natural Sciences Mechatronic Engineering Program faculty members Professor Asif Şabanoviç, Associate Professor Mustafa Ünel, Assistant Professor Güllü Kızıltaş and Assistant Professor Ahmet Onat assisted the project. Sabancı University technicians Mehmet Güler, Süleyman Tutkun, İlker Sevgen and Umut Demir worked on the production of many robot parts. The leg module of the robot and the trunk is assembled. 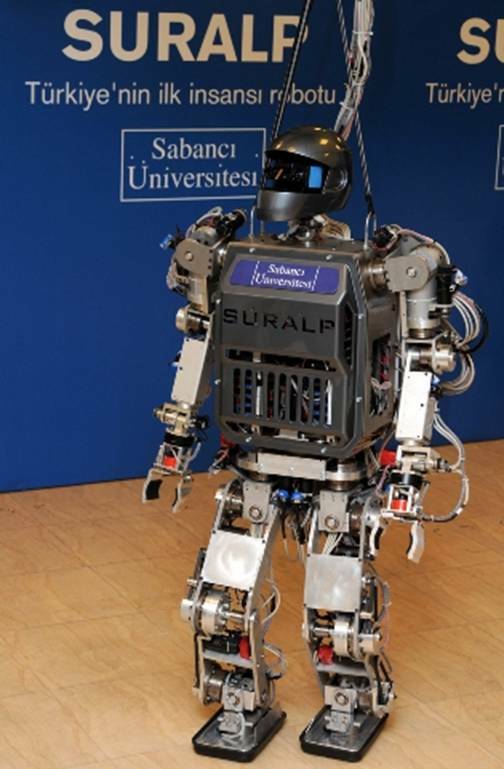 The platform is named SURALP for Sabancı University Robotics Research Laboratory Platform. 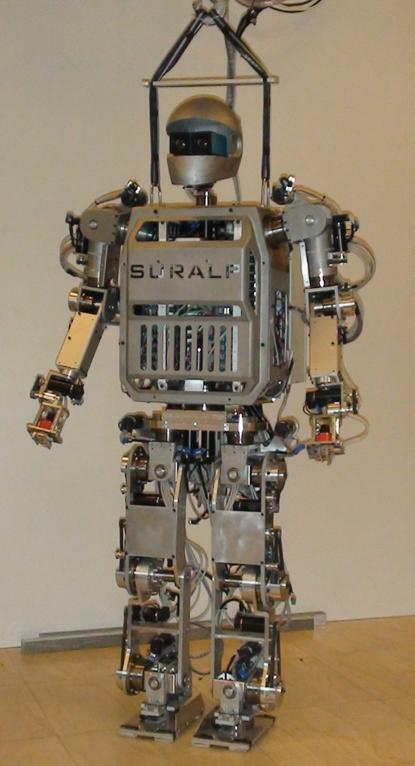 The leg module is named SURALP-L.